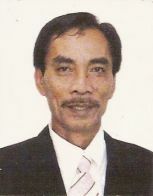 Mr. Abdulghani Kusain Umag (AKU) was the Director of the Overseas Workers Welfare Administration (OWWA) Region XII and was the Officer-in Charge of OWWA-ARMM for nine intermittent years. 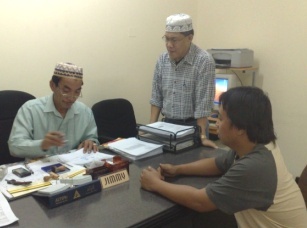 He was also responsible for the creation of OWWA ARMM. AKU arrived in the Kingdom of Saudi Arabia in September 6, 2006. Became the OIC-Labor Attache in December of 2006 . His first encounter with the OFWs problems was with a furniture manufacturing company involving 67 Filipino workers who were not paid their salary for 3 months. That very day, AKU was able to persuade the management of Al_Jazeera to pay the workers their salaries. Again, another call was received by POLO – Riyadh that about 16 nurses is going to stage a strike (prohibited in ther Kingdom ) at Rumah Hospital for non-payment of salaries and wages for 2 months and were not allowed to exit . The workers were recruited by Al Nukhba, a manpower contracting company. AKU and other staff of the POLO immediately went to Rumah Hospital and talked to the nurses and the Hospital Management and the nurses were paid their salary and were immediately given their exit visas. The first hardest case handled by AKU is that of another company involving some 9,000 workers all over the Kingdom. What complicated the problem was that at the time AKU handled the said company, their Office in Jeddah was raided by Saudi Authorities as per request by Jeddah Philippine Consulate and POLO-Riyadh recommended for the banning of that company with the Philippine Overseas Employment Administration in Manila . The reaction of the company was very clear when they refused the sending home of Filipno workers even if their contracts has expired. Inspite of the odds, AKU was able to deal with with the problem and was able to send home some 70 ladies finish or breach of contract . Since that time, AKU is now handling the cases of that company and all its branches in the Kingdom of Saudi Arabia. Again, another problem cropped up with a Trucking Service whereby some 650 truck drivers complained of illegal deductions, non issuance of drivers license,delayed salary , and no insurance coverage. Immediately AKU called up the Trucking Services and a representative appeared at POLO and a solution was reached that ended the impasse. Another group of OFWs complained of delayed payment of salaries for 2 months and this time involving some 35 workers. All these do not include our daily accomplishment on Request for Assistance coming from Government Offices, LGUs, NGOs, telephone calls and walk-in clients being the Head of the Request for Assistance Unit of POLO-Riyadh. AKU personally had rescued about 25 run-away workers and was able to settle their problems with their respective employers. As Supervisor of Bahay Kalinga, the safehouse for run aways, we were able to settle the problems of hundreds of the ladies and eventually send them home to the Philippines . Our Mass repatriation sent home some 175 stranded ladies at the Bahay Kalinga last April 23 and May 7, 2007. At present, AKU is negotiating for the sending home of some 110 female OFWs. Not to mention the ongoing negotiation being handled by AKU with a Dental Clinic involving six female OFWs who has been working for eight years and were denied exit by their employer.